Are you bugged by ticks? 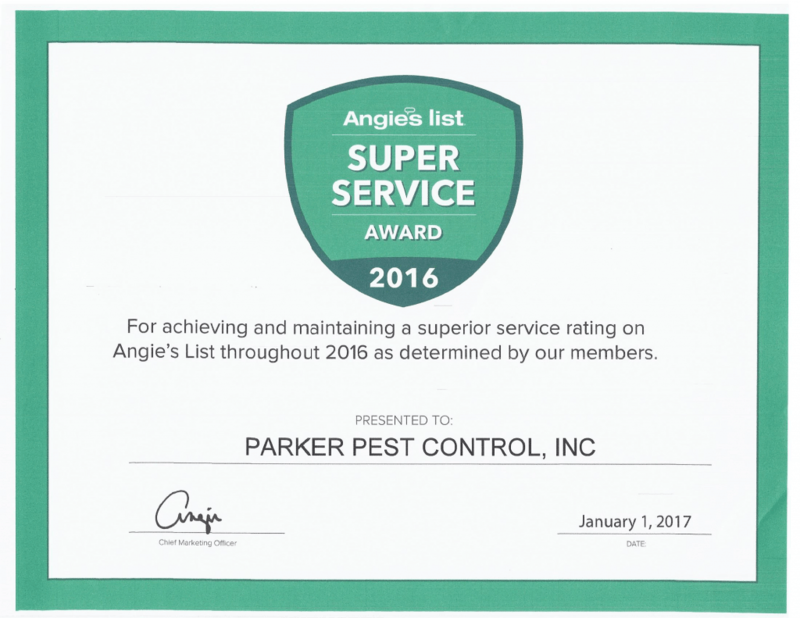 When people and their pets begin spending more time out doors, encounters with these nasty little “stealth” pest become more common. Ticks aren’t actually bugs; they are bloodsucking parasites related to spiders, mites, and scorpions. They usually attach themselves to wild mammals, birds, and reptiles. But many will feed on your pets … or even on you and your family. Like insects and spiders, ticks grow by molting from stage to stage. Most have a three-host life cycle: the larva feeds on the first host, drops off to molt into a nymph. The nymph feeds on a second host, then drops off to molt into an adult tick, which in turn finds a third host to feed on. After mating, the female tick drops to the ground and deposits anywhere from 3,000 to 6,000 eggs! These hatch into the larvae, which are also called “seed ticks.” They climb onto nearby grasses or shrubs where they wait, front legs waving above them, for an animal (or person) to pass by. Most ticks are found where wooded areas border grassy areas, a habitat found in parks, campgrounds, and many residential yards. Ticks are often carried into residential yards by mice and deer, and even on neighborhood dogs and cats. Ticks transmit many diseases to people and animals. Lyme disease is the most common and widespread, but ticks also carry rocky mountain spotted fever, Colorado tick-fever, tularemia, ehrlichiosis, and other diseases. 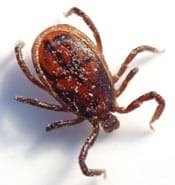 Fortunately, not all ticks carry disease, and even when they do, they usually have to feed anywhere from 2 to 8 hours before transmission can occur. Forget about those old remedies like burning or smothering the tick. These methods are more likely to stress the tick and cause it to regurgitate infectious material into the bite. Remove the tick as soon as you discover it. The longer you delay, the greater the chances that the tick will transmit a disease. Clean the bite area with a pair of fine-pointed tweezers with alcohol. Using the tweezers, grasp the tick as close to the skin as you can. Pull the tick out slowly but steadily. Remove any mouthparts left in the skin. Apply an antiseptic to the bite area and wash your hands and the tweezers. Don’t try to crush the tick with you finger nails. You may squeeze out more infectious material. Save the tick in alcohol. If a rash or illness develops later, see a physician and bring along the tick. FACT: Fifty percent of all American households have a dog or a cat.